This review examines how disorders due to alcohol are conceptualised, defined and classified in the latest draft of the Eleventh Revision of the International Classification of Diseases (ICD-11) published in November 2017. Some key diagnoses are compared with their nearest counterparts in the Fifth Edition of the Diagnostic and Statistical Manual of Mental Disorders (DSM-5). Recently published papers relevant to these comparisons are highlighted. There are distinct differences between ICD-11 and DSM-5 in how they treat disorders due to alcohol, in both the diagnoses presented and their associated criteria. Shifts in the conceptualisation of substance use disorder have generated some controversy. These relate primarily to the aggregation of DSM-IV Alcohol Abuse and Alcohol Dependence to Alcohol Use Disorder in DSM-5. In the draft ICD-11, there is a simplified definition and the six diagnostic guidelines for Alcohol Dependence in ICD 10 have been combined into three. Early findings indicate high levels of agreement for the diagnosis of Alcohol Dependence in ICD-11, ICD 10 and DSM-IV, with DSM-5 Alcohol Use Disorder capturing a wider and different aspect of problematic use. The draft ICD-11 has introduced Hazardous Alcohol Use as a distinct diagnosis and details alcohol-related physical disorders, with no DSM equivalents. Certain diagnoses are unique to a classification system, and preliminary research suggests that modifications in the latest versions may impact on concordance between the two systems in the diagnosis of alcohol use disorders, although further research assessing this across different populations is warranted. 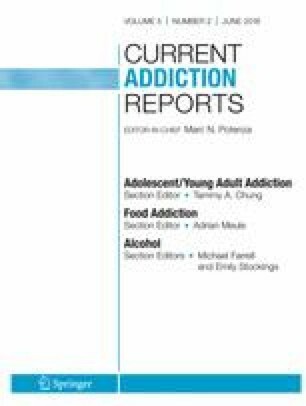 Review paper prepared for “Current Addiction Reports” (Issue edited by Michael Farrell and Emily Stockings), published by Springer, Philadelphia, USA. LD is supported by an Australian National Health and Medical Research Council (NHMRC) Senior Principal Research Fellowship. AP is supported by an NHMRC Early Career Fellowship. The National Drug and Alcohol Research Centre at University of New South Wales, Australia, is supported by funding from the Australian Government, under the Substance Misuse Prevention and Service Improvements Grant Fund. Dr. Peacock and Dr. Degenhardt declare that they have no competing interests. Dr. Saunders has contributed to the development of the DSM and ICD systems since 1987. He was a member of the Advisory Panel for the development of DSM-IV (from 1988 to 1994) and was Co-Chair of the Research Advisory Committee for DSM-5 from 2003 to 2008; he was not a member of the Editorial Group for DSM-5. He was a member of the Psychoactive Substance Use Disorders Workgroup for the development of ICD 10 from 1987 to 1994. He was involved in developing and revising the ICD 10 Clinical Descriptions and Diagnostic Guidelines and was subsequently responsible for developing the corresponding ICD 10 Diagnostic Criteria for Research. He is currently a member of the Substance Use and Related Disorders Work Group for ICD-11. In these capacities, he has received travel support to attend meetings and fees and per diem allowances from the American Psychiatric Association and the World Health Organization. The opinions stated in this paper are those of the authors and do not represent endorsement from the American Psychiatric Association or the World Health Organization. All reported studies/experiments with human or animal subjects performed by the authors have been previously published and complied with all applicable ethical standards (including the Helsinki declaration and its amendments, institutional/national research committee standards and international/national/institutional guidelines). World Health Organization. International guide for monitoring alcohol consumption and related harm. 2000. Retrieved from http://apps.who.int/iris/handle/10665/66529. American Society of Addiction Medicine. Definition of addiction. 2011 https://www.asam.org/resources/definition-of-addiction.